Fall 2017 Promotion! Purchase any Testo 320 Combustion Analyzer kit and receive one additional year of sensor warranty plus a FREE Testo 770-3 Hook Clamp Meter. Offer valid through December 31, 2017. 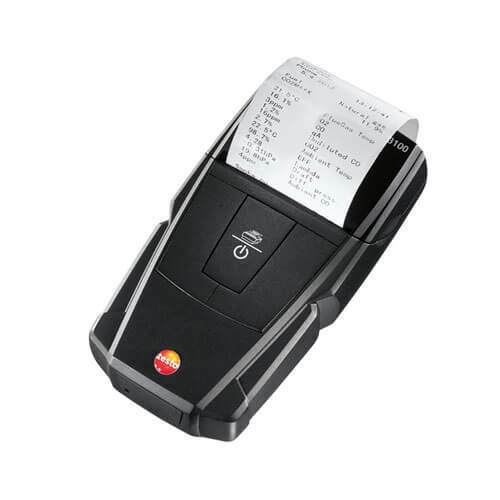 Details and Redemption Form...SAVE more by applying NEWTT Savings Coupon in your Shopping Card!Testo 320 Combustion Analyzer Kit for Residential and Light Commercial application is a new generation flue gas analyzer. 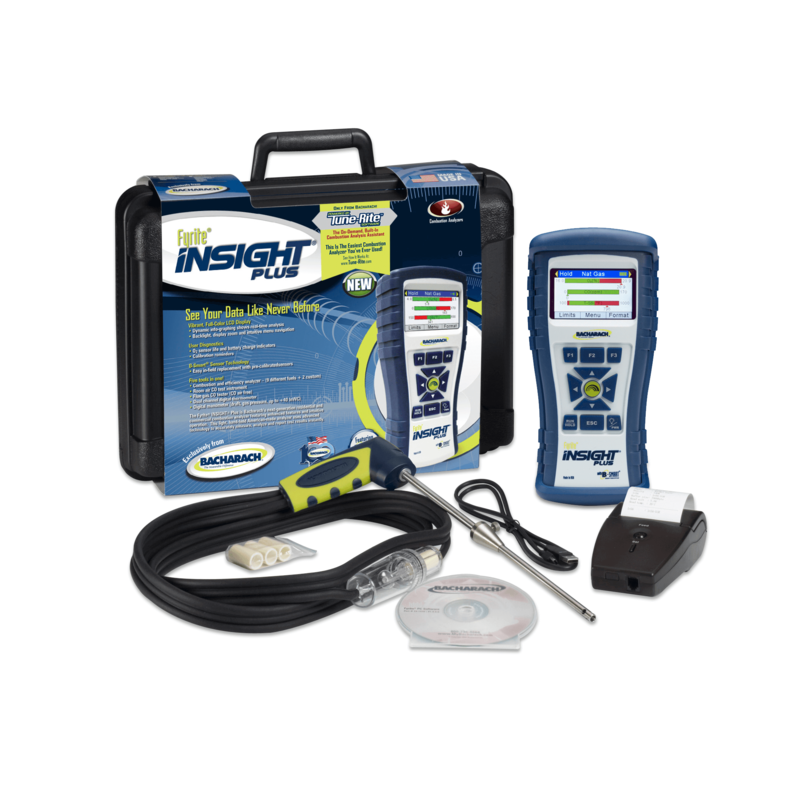 Whether you are new or experienced HVAC tech or a plumber expanding a range of services, you need to have this analyzer. 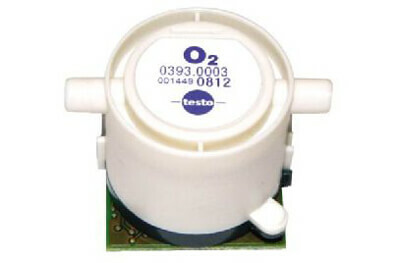 The Testo 320 Combustion Gas Analyzer is made in Germany, the country which exceeds in the combustion technology. 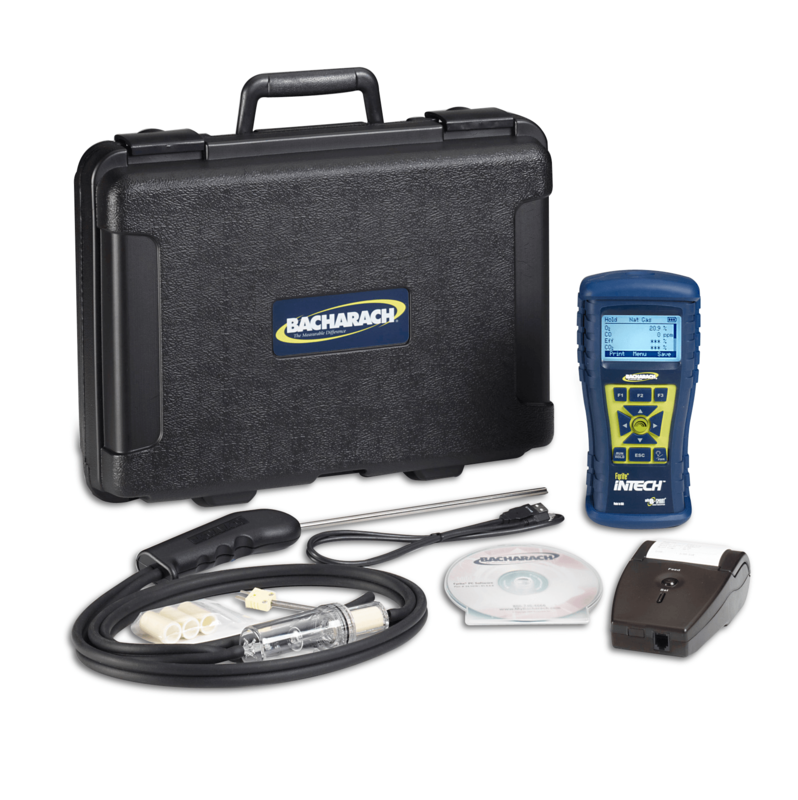 This combustion analyzer is not only easy to use and accurate, but also rugged – ready for use in the field. The Testo 320 Combustion Analyzer incorporates NOx filter to assure NOx presence does not interfere with CO readings. The CO measuring range goes up to 4000ppm (optional to 8000ppm), which makes it suitable for the most of commercial applications. Read about it, and call us with any questions. FREE 2nd Day UPS Shipping! 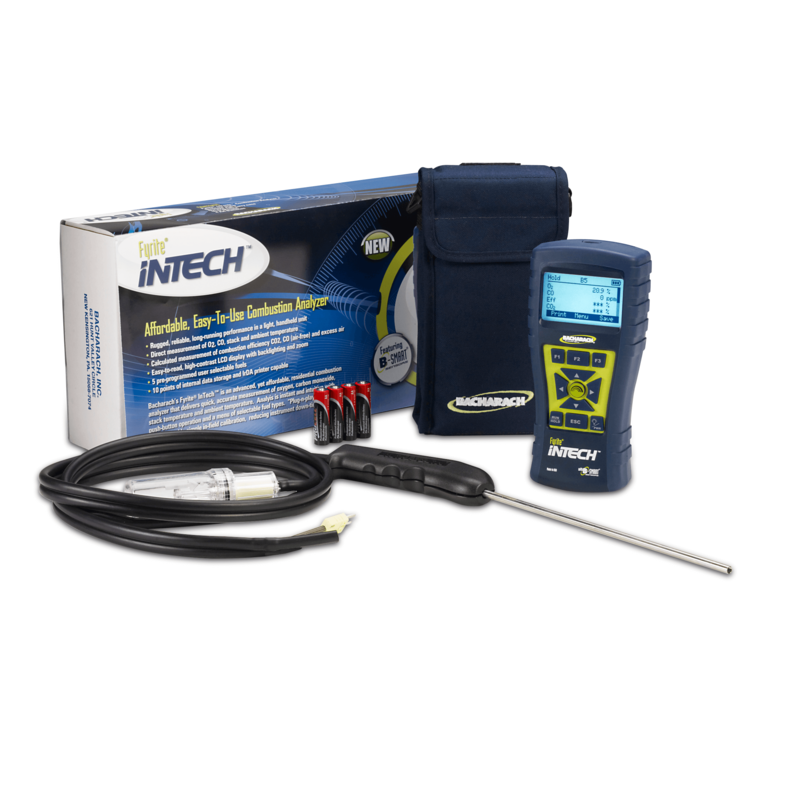 Get a Free Video Borescope ($159 value) with the purchase of any Testo 320 Combustion Analyzer. Offer valid until December 31, 2018. Details and Redemption Form. 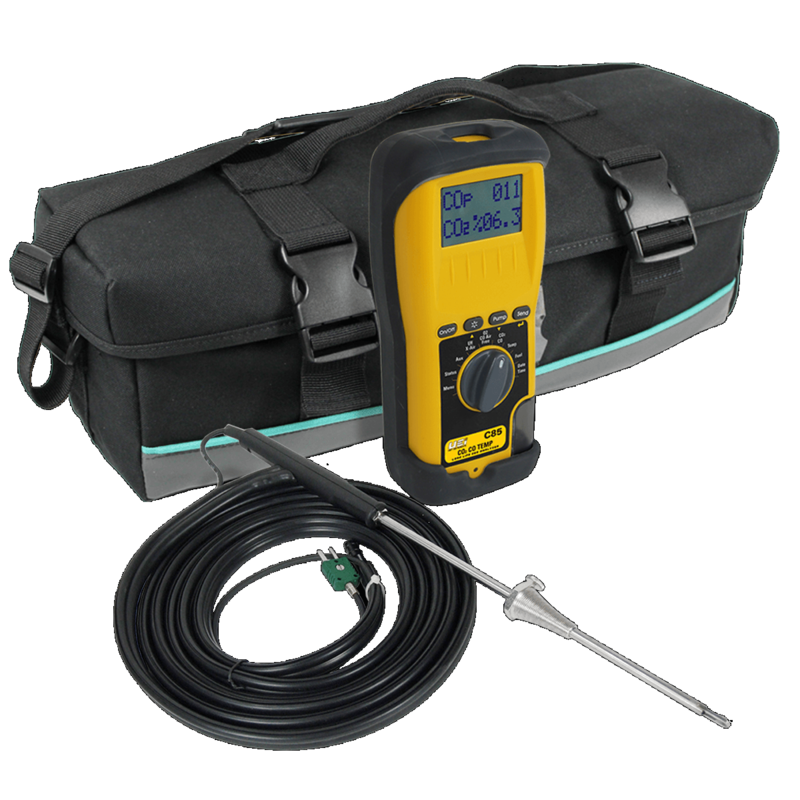 The Testo 320 Combustion Analyzer Kit for Residential and Commercial Application Mfg part (0563 3220 70) with its Bluetooth capabilities (Android only) is for the technician looking for the most comprehensive system analyzer for residential and light commercial applications. 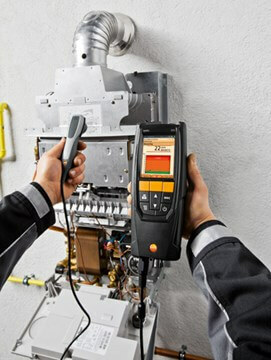 Testo 320 analyzer accurately and efficiently handles the routine testing and tuning of boilers, heaters, and furnaces up to the more complex set up of multi-stage or modulating heating systems. 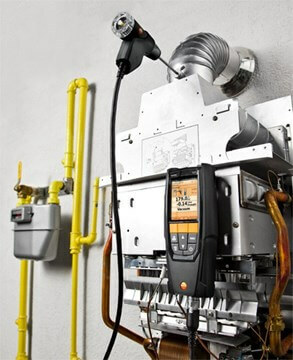 Testo 320 with its progressive flue gas matrix that graphically displays how efficiently the system is operating is helpful to the technician for a quick assessment of the system. The flue gas matrix allows the technician to set the parameters, test the system and it will graph the results. If your cross hair is displayed in the green zone, the system is running efficiently; red zone the system, it is not running optimally and needs to be adjusted. The Testo 320 bright, colorful, five line display, expanded memory of up to 500 measurements, and sensors protected by the easy to empty integrated water trap makes this a breeze for the technician to use. Besides being easy for the technician, it also is very accurate in its comprehensive analysis of O2, CO, CO2, Ambient CO and CO air free as well as essential measurements of flue draft, pressure in vents, ducts or switches. 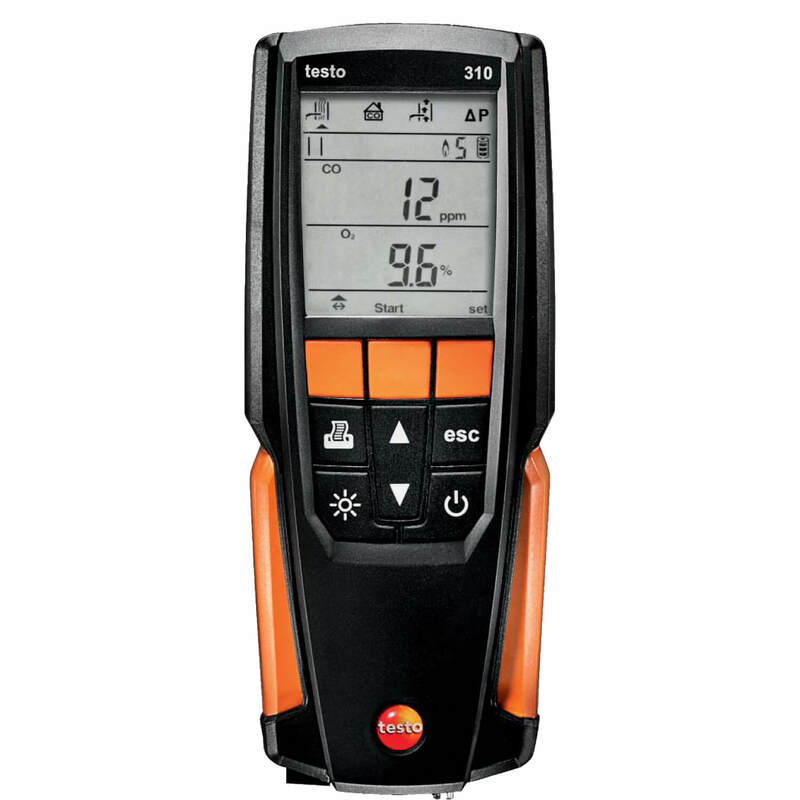 The Testo 320 measures the flue gas as well as the room temperature. 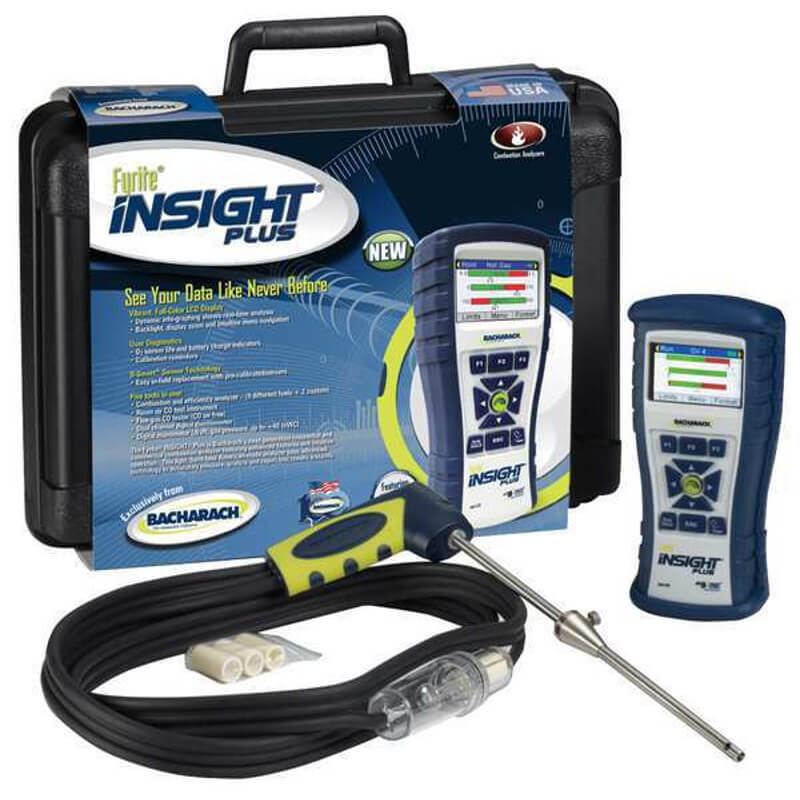 These features helps the technician perform his job quickly and efficiently. 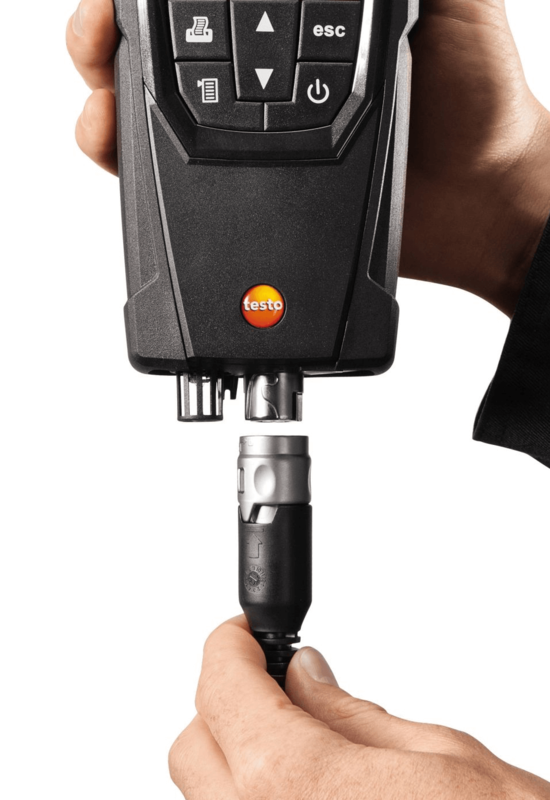 The Testo 320 has a CO sensor protected by the NOx filter to help provide more accurate readings. 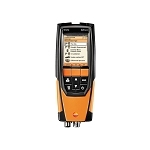 The Testo 320 Combustion Analyzer has a CO measurement range of 0-4000 ppm. This combustion analyzer also calculates the oil flow and gas clock BTU. 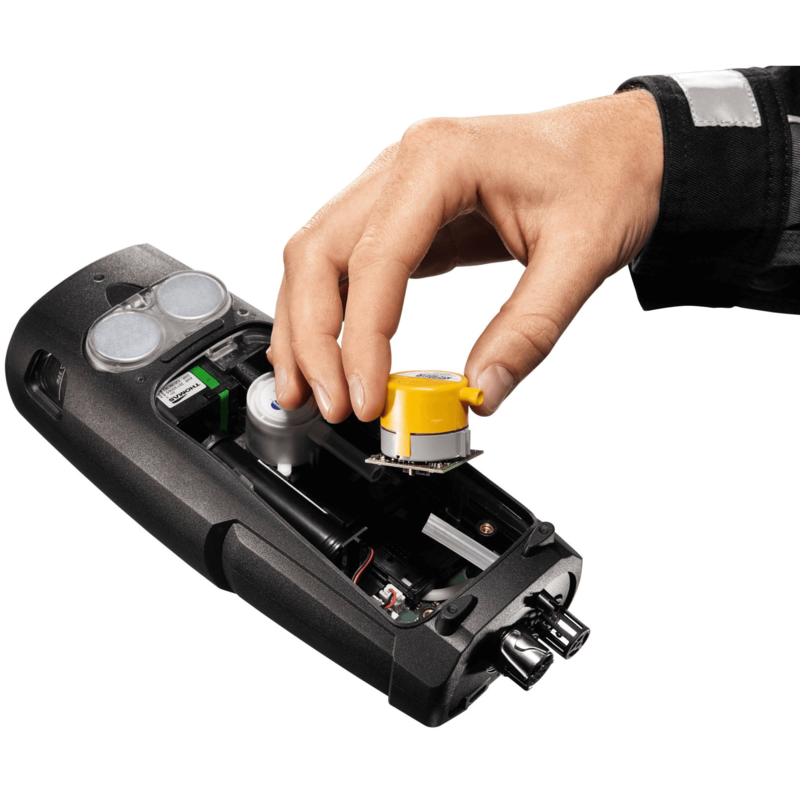 In addition, the Testo 320 has field replaceable sensors that typically last more than 3 years to minimizing down time for the technician. The Testo 320's hoses are lined with Teflon in order to resist fraying, splitting, and kinking. This ensures a longer lifespan of the hoses, in addition to excellent sample response time. The Testo 320's water trap has a "full" alarm and is very easy to empty, with no need to disconnect and drain the hoses. 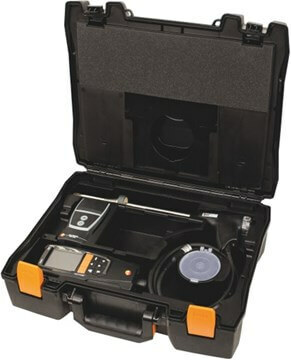 The German made Testo 320 Combustion Analyzer is a rugged, comprehensive combustion system analyzer that eliminates the guess work and provides accurate testing information for the technician. The Testo 320 Combustion Analyzer has the option to use additional probes (sold seperately) with its well-designed cam-lock couplings. Other probes such as the gas leak, ambient CO, CO2, and the fine pressure probe provide additional testing results for the technician. 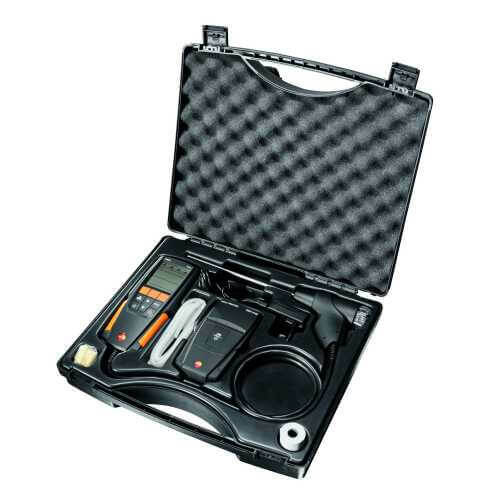 The Testo 320 comes with: combustion analyzer with rechargeable battery, 12 inch probe with cone and hose, AC power supply (with USB recharging), spare particulate filters (10), and rugged case. Tough Teflon lined hoses resist fraying, kinking, and splitting. Testo 320 Combustion Analyzer - How to Use It?